If I had to pick a favorite cuisine, it would probably be Thai. Or perhaps Italian. Or possibly Mexican. Or could be Japanese. Or maybe American. Or... I digress. I love Thai food. It's something I'll go out of my way for if I think there's a chance it's good. Major Dan told me about ThaiOishi, a restaurant with separate Thai and Japanese menus near the Palmovka metro station. He said they did a decent job, the prices were good, and that he and Hana Montanova were semi-regulars. It also received a very positive review in The Prague Post at the end of last year. 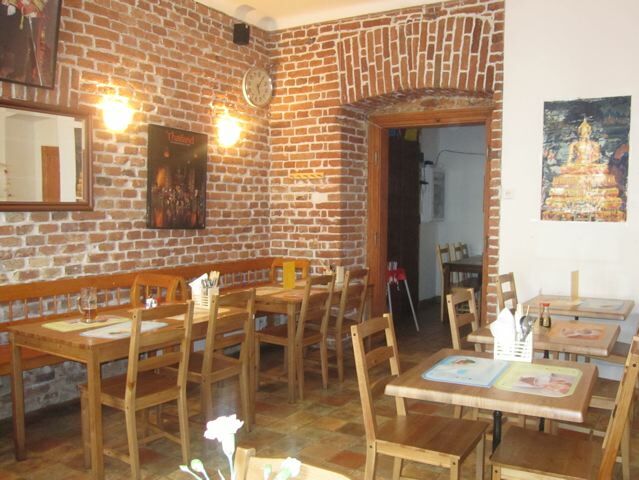 The small, square dining room with a small alcove has just a few tables. 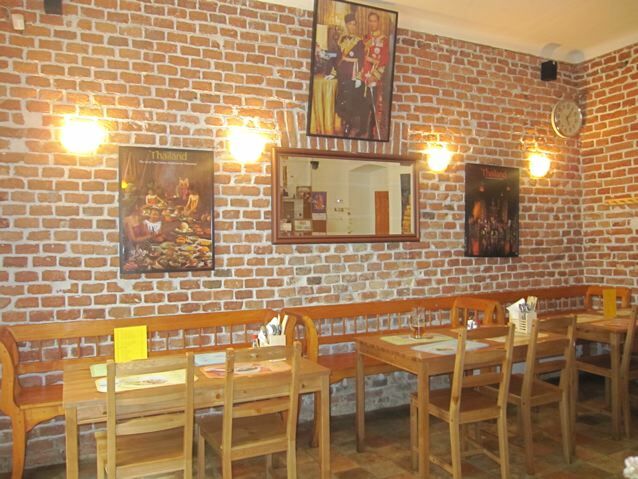 There are attractive brick walls, and a picture of the Thai king and queen. Otherwise, the decor is not much to write a postcard home about. The bar section is particularly unattractive and cheap-looking. But looks don't matter so much if the food is good. And the dish I give the most weight to at a Thai restaurant is the Pad Thai. Speaking of looks, my point-and-shoot camera died, so I had to take this picture with my little Nokia. 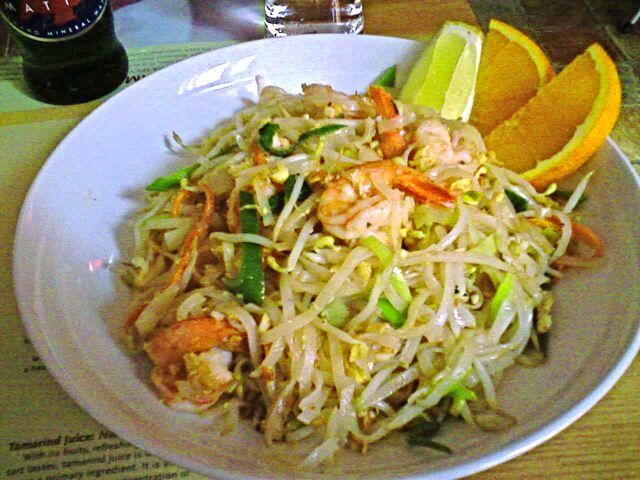 I ordered this Pad Thai with shrimp (150 CZK). The crustaceans were small, but there was a generous portion, considering the bargain price. How did it taste? I'd rate it as just OK, a little above average, but not exceptional. It had a touch of sweetness that I like, but did need more lime. The same dishes at Noi and Modry Zub Noodle Bar are usually better and more complex, and with a better mix of flavors (but also far more expensive). 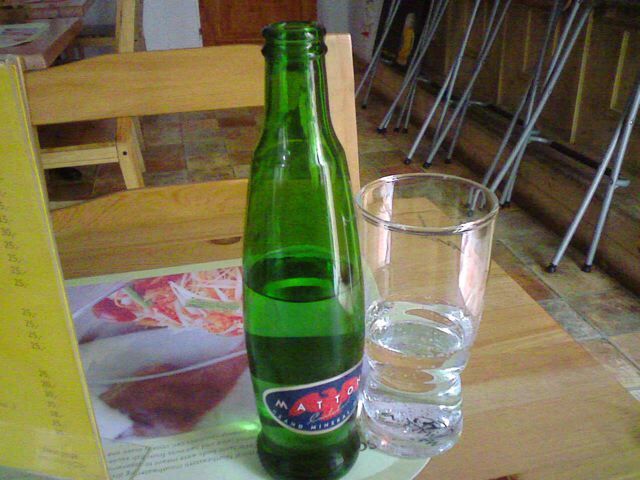 I had an inexpensive .33 liter bottle of Mattoni mineral water (15 CZK), and the bill came to just 165 CZK. On my next visit, I started off by sampling the beer. ThaiOishi only serves Holba on tap. 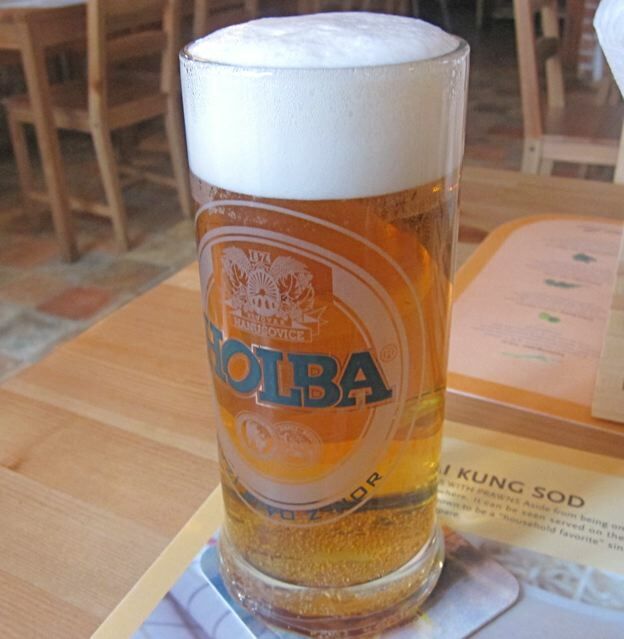 I had a half-liter (22 CZK). I hadn't tried this beer before and didn't think it was anything special. But it was a refreshing change from the usual offerings like Gambrinus or Staropramen. 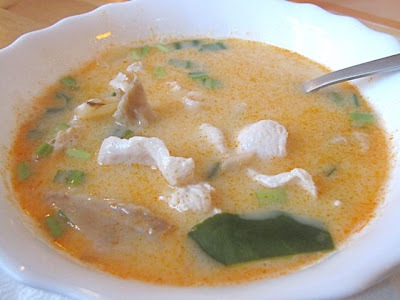 I ordered another of my favorite Thai benchmarks, the Tom Ka Gai soup (70 CZK). This was enjoyable. It was bursting with lime leaf, galangal, mushroom, green onion, and coriander. The chicken was surprisingly tender and fresh. There was a spicy kick. I always wish versions in the Czech Republic would be a little creamier, but I was happy enough with it as it was. Next, I turned my attention to the Japanese menu and its sushi offerings. 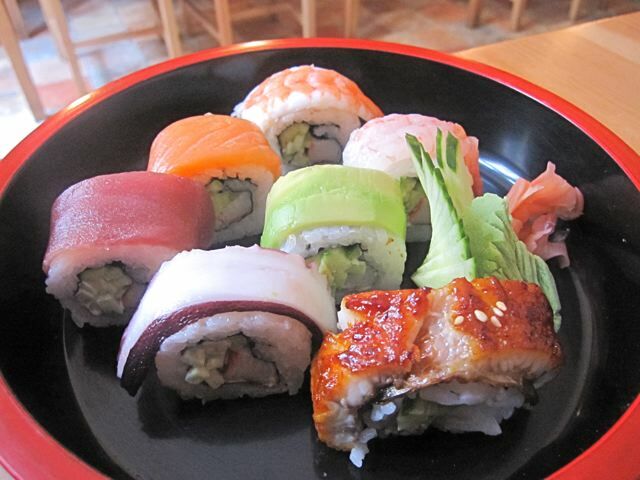 I ordered the Rainbow Roll (250 CZK). The first thing that I noticed was that it didn't come exactly as advertised. The menu said it included barbecued eel, shrimp, tuna, salmon, butterfish, red snapper, and avocado. The difference was that instead of butterfish and red snapper, I got a lightly cooked shrimp along with the fully cooked one, and octopus. The seven rolls were filled with avocado, cucumber, and krab cream. I would have preferred the original line up, but I was pleased with the freshness of all the ingredients. I'm a particularly big fan of eel, and this one was tender and delicious. It compared favorably to the cold, rubbery one I had recently at Hanil. Even the octopus was easy to chew. The Rainbow Roll is one of the more expensive items they serve, but it was nicely filling. The bill for this trip was 342 CZK. On visit number three, I had some nigiri as an appetizer. 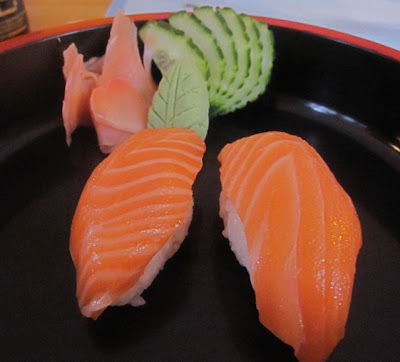 I ordered two salmon pieces for 90 CZK. The salmon was buttery and fresh, but on the small side. 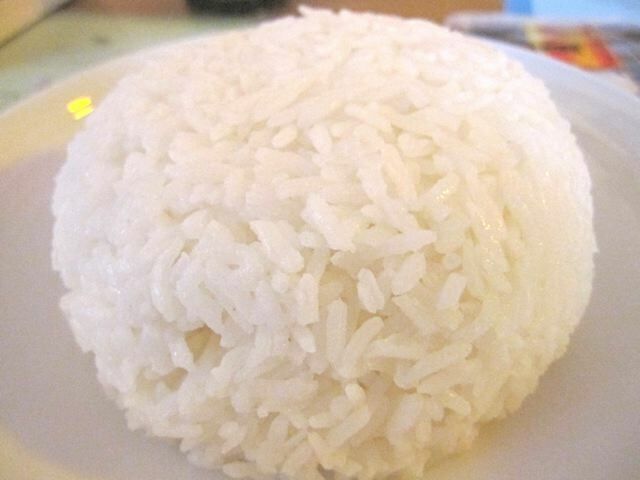 The rice was well-prepared with a hint of rice vinegar and wasabi. If you order one piece, it is 50 CZK. That's better than most other sushi places around town, with at least one exception being the newly discovered Sushi Tam Da (thanks for the tip, Crispy). Then, I took a walk on the Thai side with the Kaeng Phed Nue (150 CZK). 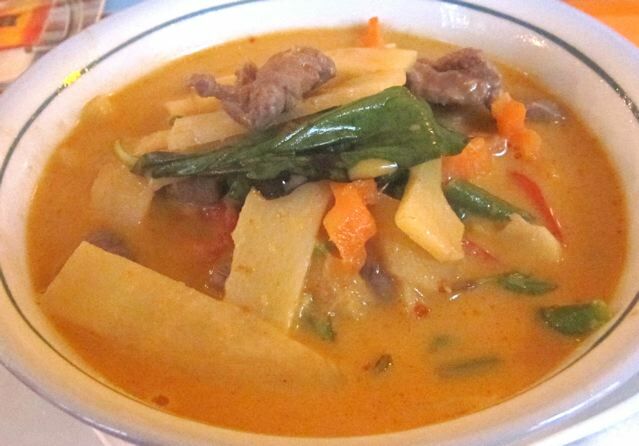 This red curry beef fell flat for me. The beef itself was the usual low-quality, tenderized-but-still chewy little strips. The sauce was watery. The large amount of bland bamboo shoots didn't help. I derived some pleasure from the basil, lemongrass, lime, and other flavors fighting to get through. But not enough. I poured it over jasmine rice (30 CZK), and the sauce all but disappeared from view. The price was not bad, but in this case, I would have paid more for something better. The total tab for this trip was 292 CZK. A week later, I was on the Tram 19 and realized it stopped close to ThaiOishi, so I made a fourth visit. 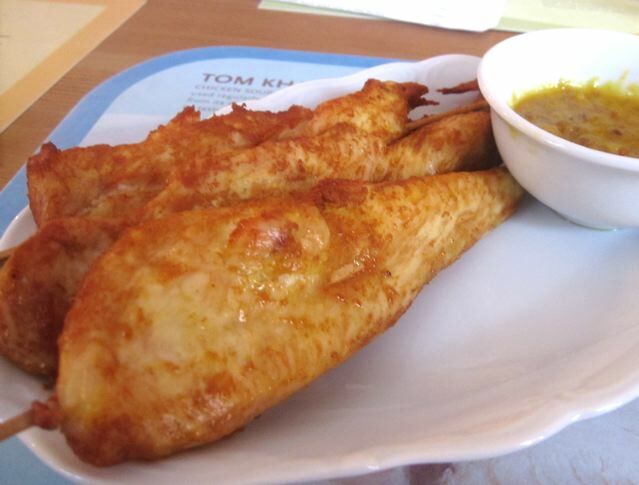 For my first dish, I had the chicken satay (75 CZK). I'm sorry to say this was one of the worst versions I've had in a long time. The thick pieces of chicken on sticks had a greasy, uniform surface that led me to believe they were fried in oil. While the chicken was yellow from a marinade, it was almost devoid of flavor. The sweet coconut-peanut sauce was nice, but served very hot, temperature-wise. I had to wait for it to cool down a bit. In contrast, I had the satay at Modry Zub Restaurant a week later, and it had the grill marks and smoky taste I was hoping for. On the other hand, theirs was also smaller and almost twice as expensive. Next, I had the Lab Mu (110 CZK). This was much better. 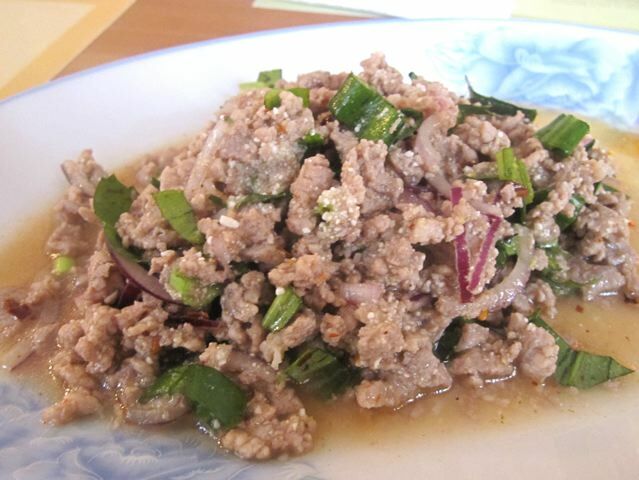 The minced pork was mixed with the requisite lime juice, fish sauce, red onion, chilies, and ground, toasted rice. It wasn't as spicy or delicious as the version I once had at Modry Zub Noodle Bar, but it was good enough that I'd get it again. 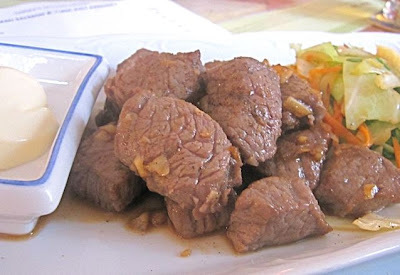 Finally, I decided to go Japanese again and got the beef teppanyaki (180 CZK). Teppanyaki literally means grilled on an iron plate and was made famous in the USA by the Benihana chain. The chunks of meat were in that nether-zone between tender and tough. Some pieces were better than others. But there was very little seasoning or flavor that came through. I found it boring. My final visit, which left me more than stuffed, cost 387 CZK. I won't rate the service because I always ate at odd hours and was usually the only customer. The food did come relatively quickly. ThaiOishi does some moderately good sushi by Prague standards, and a few respectable Thai dishes, all for close to rock-bottom prices. But there were definitely some things to avoid. It's definitely not the kind of place I'd make a special trip for. It's too simple for that. But it is a restaurant I wouldn't mind having in my neighborhood, either. Hi Brewsta! We're a beer loving couple from Norway who will visit Prague in mid-August. We've been there many times before, but not very often in summer, so we would appreciate it very much if you could give us some recommendations for places with great outdoor dining possibilities. And very important: The restaurant should offer good quality beer. Thanking you in advance! Regine and Lasse Nordheim, Larvik, Norway. My email address is lasnord@hotmail.com. I liked the terrace. the street in front of the resaturant is quiet. The interior looks nice. But, this interior has to be payed, and tht explains the high prices.. I guess. But the food was good. Specially their fish tempura dish. I've had good luck with U Pinkasu at metro Mustek although be careful which metro exit you use! Great beer, outdoor seating both in front and in back. The food is both pretty good and fairly cheap for a tourist destination downtown. Plenty of Czechs there too; it's a famous old pub and has some great "tank" Pilsner Urquell. Look specifically for the "tank" stuff; it's usually considerably better even than the already good keg beer. Cafe Savoy (not Hotel Savoy, but Cafe Savoy) has seats outside but on the sidewalk, not in a garden. They have best svickova I've had in a restaurant in Prague. It's not cheap by Prague standards, but I'm sure nothing in this country would be shockingly expensive for a Norwegian couple ;-p They have good beer too. Basically, as you're walking around town, keep an eye out for large beer tanks in the pub windows and give them a try. The places that have them tend not to be shy about showing them because the beer is ususally much better. If you look at Brewsta's links to other blogs check out "Pivni Filosof" as well. Great info. Good luck and enjoy your stay! Good beer AND outdoor dining? Hmm. Kogo at Slovansky dum has one of the nicer courtyards for dining in the center. Moderate to expensive Italian/med cuisine. Budvar draft only in small glasses but can be good (not outstanding). 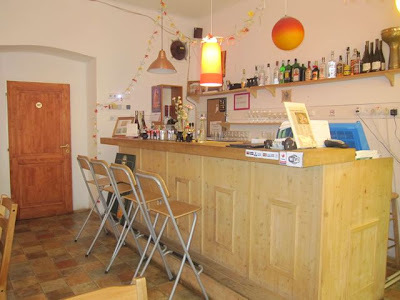 Lokal Blok, a modest place in Andel/Smichov neighborhood (recently reviewed here) has rarely seen Gambrinus tank beer. Very nice, leafy garden out back. Can be hard to get a table on a nice day. U Pinkasu is a good recommendation, though I've had mixed experience with the food. You can sit out front at the Pilsner Urquell pub Celnice, with tank pilsner, near Namesti republiky. Agree that Max over at Pivni Filosof can probably best answer this question.